ACAES was founded in 1982 by Professor Manoranjan (Jan) Dutta of Rutgers University. Professor Dutta drew inspiration from the economic achievements of Japan and the four tigers, and the promise of other economies in the region to follow suit; from the normalization of relations between the US and China, and China’s adoption of a policy of reform and opening; and from burgeoning US trade across the Pacific that in 1981 for the first time exceeded US trade across the Atlantic. In all of this, Professor Dutta perceived an opportune moment for new initiatives in the study of Asia and for expanded engagement between American and Asian economists. Over the next decade, a series of successful conferences and well-received conference volumes pointed to the need for a regular publication venue for work on Asia. 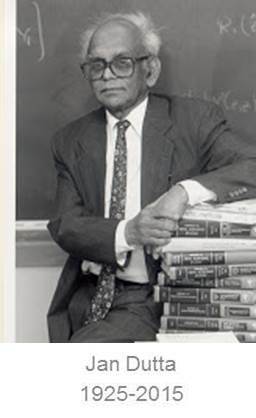 To that end, Professor Dutta founded the Journal of Asian Economics in 1990. From an initial two issues a year, the Journal expanded to its present six. By 2002, under Professor Dutta’s leadership, ACAES had organized an impressive 24 international conferences resulting in the publication of 14 edited volumes. Ten of the conferences were held in the US, six in China, two in Thailand, and one each in Hong Kong, India, Indonesia, Japan, Korea, and Malaysia. Participants included Nobel Prize winners Lawrence Klein, William Vickrey, and Robert Mundell on the American part and such luminaries on the Chinese part as Chang Pei-kang, Liu Guoguang, and Mao Yushi. The early China conferences played an instrumental role in building professional ties between Chinese and foreign economists as China reconnected with the outside world. From 2007 to 2015 Professor Michael Plummer of the Johns Hopkins School of Advanced International Studies in Bologna, Italy, took the helm as both President of ACAES and Editor-in-Chief of the Journal of Asian Economics. The Journal flourished under his leadership, and conference activity continued with events in Kyoto, Japan; Rimini, Italy; and Melbourne, Australia. As of July 2015, the baton has passed to Professor Calla Wiemer, a protoge of Professor Dutta's since the earliest China conference, now resident in the Philippines. Calla has held faculty positions at the University of Hawaii at Manoa (1984-1997), the National University of Singapore (2004-2008), and the University of the Philippines (2015-2018). The summer of 2019 she'll be at the Korean Development Institute School of Public Policy and Management teaching "Macroeconomics for Emerging East Asia", based on her textbook (in progress).